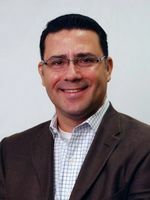 Juan Sanchez is the pastor of High Pointe Baptist Church in Austin, TX. Alongside his well developed sermon preparation workflows, he tells us how “preaching is central, but its not enough”, shares why good preaching begins with pastoring, and explains how the improv jazz he learned in his undergrad music degree helps him as a preacher. Juan Sanchez was converted to Christ in 1983 at the age of 17. In 2005, Juan joined the staff of High Pointe Baptist Church to serve as its preaching pastor and elder. Juan earned an undergraduate degree in Music from the University of Florida. He later earned a Masters of Divinity and a Masters in Theology from The Southern Baptist Theological Seminary in Louisville, KY. He is currently completing his Doctorate of Philosophy degree from the same institution. Juan and his wife have five daughters and one son-in-law. Hi John, I love the podcast and have been a regular listener for the past few months. I just wanted to add the link to the “arcing” tool that Juan was talking about. It can be found in a free pdf here – http://cdn.desiringgod.org/pdf/booklets/BTBX.pdf.